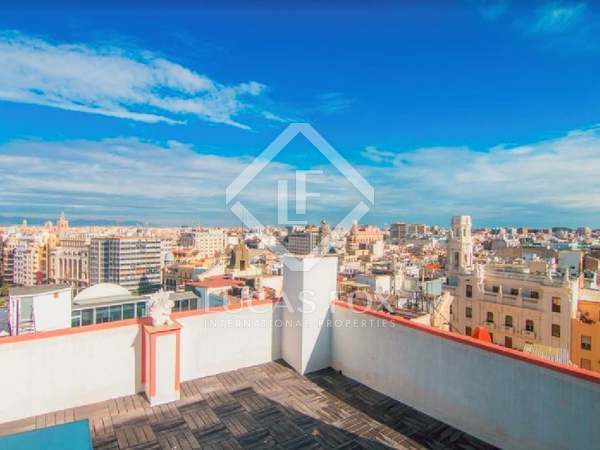 Fabulous, fully renovated penthouse apartment with a 60 m² terrace for rent in Valencia's most highly sought after area. 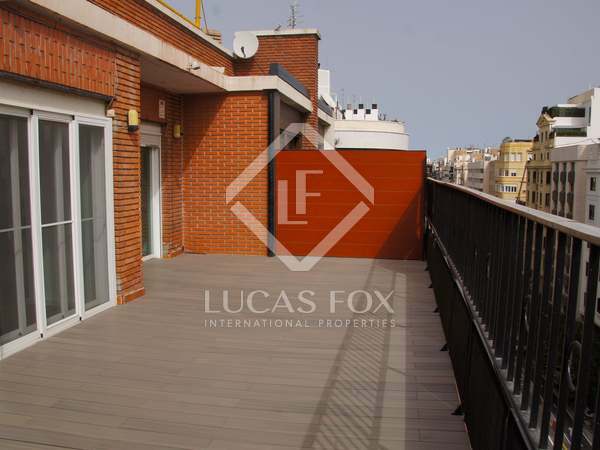 A modern penthouse in a stately building, with 2 private terraces and 360º views towards the sea, mountains and the city. It includes a parking space in a garage.